LEGO’s new line of toys for girls – @LEGO « Adafruit Industries – Makers, hackers, artists, designers and engineers! 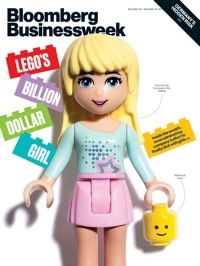 LEGO’s new line of toys for girls @ Business week via BoingBoing. Then there are the lady figures. Twenty-nine mini-doll figures will be introduced in 2012, all 5 millimeters taller and curvier than the standard dwarf minifig. There are five main characters. Like American Girl Dolls, which are sold with their own book-length biographies, these five come with names and backstories. Their adventures have a backdrop: Heartlake City, which has a salon, a horse academy, a veterinary clinic, and a cafe. “We had nine nationalities on the team to make certain the underlying experience would work in many cultures,” says Nanna Ulrich Gudum, senior creative director. That’s pretty interesting – so we could all celebrate science, design and engineering with LEGO minifigs & LEGO sets and that’s what the kids will want to be. Let’s do this! We’d like a LEGO factory minifig set, where you get to see how the men and women who make LEGOs make LEGOs. OR… Hey LEGO! Want to do an Adafruit factory LEGO set with a Ladyada minifig? 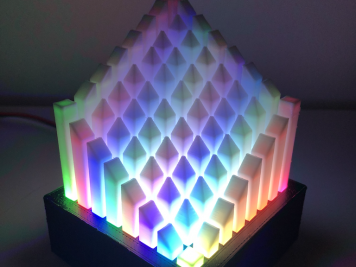 Is there a “maker” LEGO set in our future? Yeah! Finally. My daughter will be thrilled. It’s great that they have a girl in her workshop building stuff (Rob’s link, Lego “Olivia’s Inventor’s Workshop” set). However, it bothers me that the girl figure appears to be wearing flip-flops… not really appropriate footwear for the workshop!